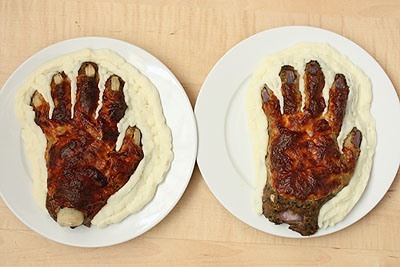 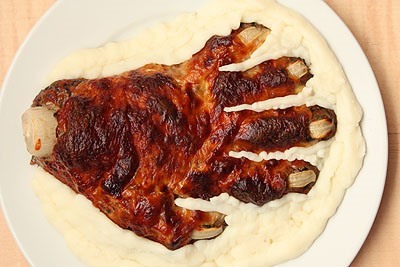 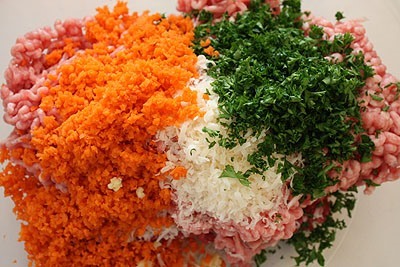 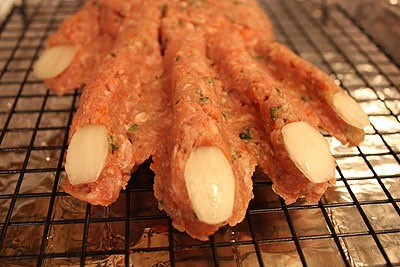 If you can stomach it, if you can even imagine yourself eating it, Not Martha (they really live up to their name with this one... this is definitely not a Martha Stewart project) has posted a tutorial on making a "Meat Hand". 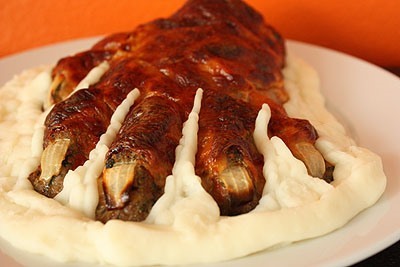 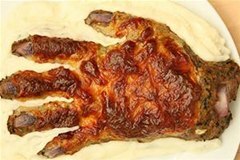 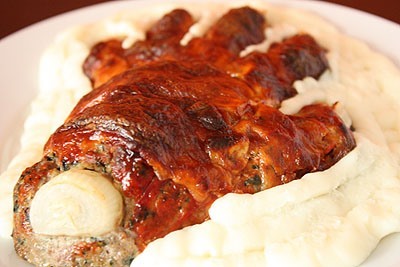 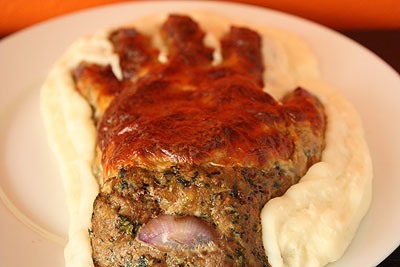 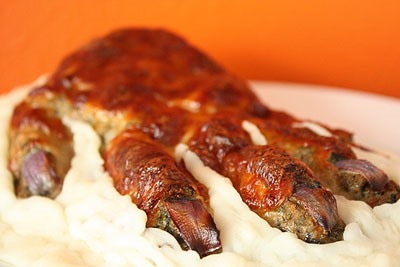 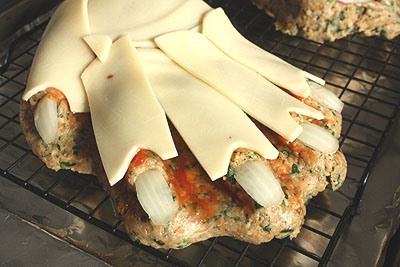 Meat Hand = meatloaf with cheese on top, dressed with bloody ketchup, and detailed with disgusting onion fingernails, lying in a gooey bed of mashed potatoes. 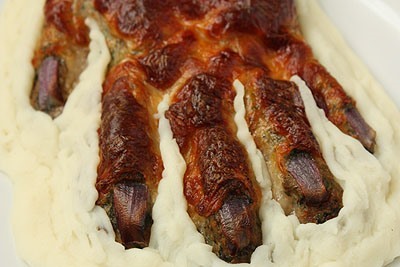 There ya go, Halloween dinner. 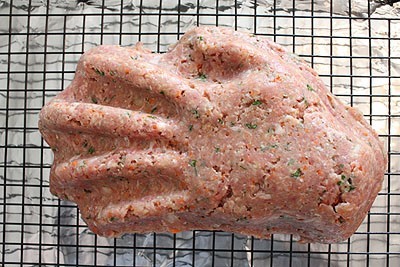 Click through to learn about the entire process, gallery of images are posted below.